Having a strong fondness for Japanese techno/synthpop, I thought for a while about making an entry about some of my favorites but also decided to narrow things down a bit. This one specifically deals with aidoru tracks produced by some techno masterminds like YMO, Masami Tsuchiya and Moonriders, also known as aidoru techno-kayo. I don't usually have an urge to listen to idols, but when I do, more often than not it's this stuff right here. I think it's because the arrangements and the concepts keep me interested. I love the quirky techno-ness of it all, and it seems like the creators actually put effort into these songs. Or perhaps I just like the sound of computer music mixed with cute vocals. Not that all the singers below necessarily sound cute, but those that do definitely benefit from all the synths and bleeps in the background. Without further ado, here's the playlist, organized in chronological order. There isn't a particular theme to these selections since good music comes in different forms and moods. Enjoy! Long before Yasutaka Nakata came along with Perfume, Keiichi Suzuki (鈴木慶一) already digitalized the Candies aesthetic with this edgy new wave tune for Fever. It doesn't actually sound like Perfume but the concept and the image are there. The cover image above of Naomi Watai (渡井なおみ), Izumi Okahiro (岡広いづみ) and Mayumi Kitagawa (北川まゆみ) in triangular formation really do resemble Nocchi, Acchan and Kashiyuka from their Computer City~Game era though in different outfits. The song itself has a nice mix of techno bleeps set to a surf rock rhythm. I found it enjoyable from start to finish. Always appreciate a bit of experimentation with aidoru tracks. P-Vine's compilation of Toshiba EMI's Techno-Kayo works was the one that introduced me to this obscure song. I wouldn't have heard it otherwise. As for Fever themselves, the little information I could dig on them tells me that they started off as a sexier version of Candies, debuting with the single “Akuma ni Kushizuke” (悪魔にくちづけ) in April 1979. They had one album and another four singles after that before they broke up in late 1980. “Digita Love” was their final release and their only techno song as far as I know. As a one-third of the Hana no Chu-San Trio (花の中三トリオ), Sakurada may have been overshadowed by the legendary Momoe Yamaguchi but she did hold strong on her own with some of her mid-70's hits like “Hajimete no Dekigoto” (はじめての出来事) and “Juushichi no Natsu” (十七の夏). One of her latter highlights was the album “My Dear” from 1981, which had Side 1 of the LP produced by Akiko Yano (矢野顕子), who brought in all that bubbly technopop for Sakurada to try. Lots of great songs there, but the one that captivated me the most is “Kitto Kitto”. Although the music itself has Yano written all over it and in the refrain Sakurada copies her fluttery manner of delivering the lyrics, she interpreted it in her own way with that mature womanly voice of hers. Whereas Yano sounds sweet like the kindest friend, Sakurada goes for the sultry. Makes for an interesting combo with the music. You can call me addicted to the rapid refrain and the strings riff that follows it. It's just cleverly crafted in general with all these delicate details in the arrangement. Better not dissect them. Chiemi Manabe had a very short idol career in the early 80's first as a member of the group Pansy (パンジー) and then as a soloist before she switched to modeling and acting and then disappeared from media altogether later in the decade. Techno-kayo enthusiasts refer to her as the original techno idol since she was one of the first along with Starbow to specialize in the sound. “Nerawareta Shoujo” was her debut single, which was written by the eminent Aku Yu (阿久悠) and composed/arranged by Haruomi Hosono (細野晴臣). What can I say... That synth line is a killer. And the melody has a unique eeriness to it that's unlike your generic pop song. Manabe's vocals are rather thin, but they don't bother me at all when set against the solid techno backdrop. Unfortunately, she didn't pursue singing for long only leaving us with three singles and one album, but what she had was very nice. I couldn't help it, it's just too darn infectious. J-Canuck wrote an informative entry on Imokin Trio and the song, so I don't have any factual information to add. It's a pretty silly and classic Takashi Matsumoto (松本隆)/Hosono work for a group of boys who just wanted to make people laugh. The hilarious choreography, which had Kojio Nishiyama/Waruo (西山浩司) playing air drums as if he were Yukihiro Takahashi (高橋幸宏) and Ryoichi Yamaguchi/Yoshio (山口良一) behind the air synths in the position of Ryuichi Sakamoto (坂本龍一), probably played a huge role into making this song a winner, but even on its own, it has some strong synth lines that make it a quality techno tune. What was meant to be a novelty tune happened to turn into a classic. It hasn't worn itself out in my ears yet. When I sang it in karaoke, my friend remarked that it sounded girly with all those “suki suki baby” parts so I showed the performance to surprise her. She's been hooked ever since. Mari Iijima's debut album “Rosé”, which was produced and arranged by Ryuichi Sakamoto, is notable for being of interest to both techno and City Pop enthusiasts, judging by some responses I came across online. Couldn't miss that pretty pink cover while flipping through the pages of Japanese City Pop either. Just listen to “Love Sick” and you'll know what the deal is. It's a loungy nightime melody with a digital/string arrangement and it's wonderful. Every time I listen to it, I can't help but be charmed by the way the classical strings in the opening give way to the synths that take over from there. Kudos to Sakamoto for that clever arrangement. Iijima's voice is sweet like the purest honey but it also has a mature flair to it, which you can pick out easily in this song. It's not often that you find a singer who had it right from the very start, but I'm happy to say that her debut was great. And she wrote and composed the whole thing herself. Just to prove that YMO practically owned Japanese pop of the early 80's, they had to involve themselves with Hiromi Go or else their control wasn't complete. Ryuichi Sakamoto produced his 1983 album “Hiromi-Kyou no Hanzai” (比呂魅卿の犯罪), inviting the rest of YMO and its family including Kenji Omura and Akiko Yano to play the instruments. The album cover and the booklet images feature the idol in a New Romantic getup complete with blush and lipstick. It was a bit of an oddball entry in Go's discography but it was also the one that convinced me to get over my embarrassment of liking his music and give it an earnest try. Of all the tracks there, however, I decided to go with the one that he wrote and composed himself (and did it well) while Sakamoto let his arranging magic do the rest of the work. “Dakara Spectacle”, as you can tell from the title, is quite theatrical and somewhat cheesy but in a good way. Even though it's just little over 7 minutes long, it never drags. I like everything about this: the chorus, the verses, the instrumental bits. Despite Sakamoto's influence, it's very much a Go piece and he owns it like a dandy heartthrob that he is. Like Chiemi Manabe, I would have liked for Kilala & Ulala go further but alas they only lasted for two years. Their only album “Double Fantasy” doesn't feature the usual techno composers save for Hosono and Masaya Matsuura (from PSY-S) on a couple of tracks but it's still memorable. My personal favorite number from it is “Yume, Fushigi Ikaga”, which was written/composed by EPO and arranged by Nobuyuki Shimizu (清水信之). Just listening to the futuristic melody and synths and the girls' bold voices makes me want to launch a rocket into the stratosphere. Although it was a CM jingle for some cosmetics company, I think it would make a fine theme for a tokusatsu show. Just an observation. You can read more about the duo in my entry here. According to J-Wiki, this was considered an unusually experimental for an aidoru tune due to all the sampler effects, but being accustomed to random noises and grunts in Morning Musume's songs, I wasn't that fazed when I first heard it. I just thought it was really catchy. Maybe it's because of Hori's happy-go-lucky vocals and the bouncy melody that it fits with all the sugary idol pop of the time. The arrangement and the effects are still pretty interesting though, so they make this stand out for me. The lyrics were provided by Hirofumi Suzuki (鈴木博文) and the music/arrangement by Ryomei Shirai (白井良明), both from Moonriders. I'm not sure if that was Shirai's intention, but those buzzing synths remind me of cicadas in the summer. Then again, the single was released in the midst of July heat, so it was crafted for the summer anyway. J-Wiki also notes that he created it with matsuri and ondo music images in mind. “Wasshoi” itself is sort of like Japanese equivalent of “heave ho” and is usually chanted at matsuri when carrying floats and portable shrines. I can just picture Hori herself taking part in the festivities while singing this. Oh, and the way she chirps “kira kira” is adorable. You can read more about the singer through generasia. Marcos V also wrote a great article on her last single here. 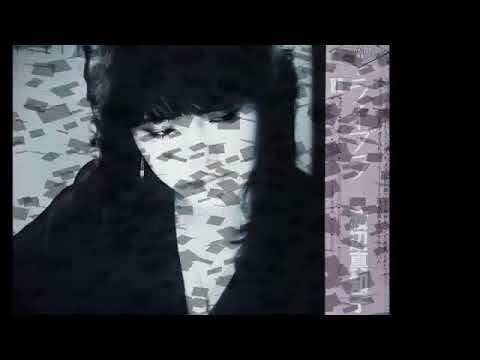 Here's a Sakamoto creation that has popped at me in various incarnations over the years, but it's Yukada's glorious opening track to her final album “Venus Tanjo” (ヴィーナス誕生) from March 1986 that I'm partial to. The other two are Sakamoto's self-cover with different lyrics titled “Ballet Mecanique” which came out a month later and Miki Nakatani's “Chronic Love” from 1999, an opening to the quirky mystery drama Keizoku that she has starred in. Those unique melody chords cannot be mistaken for anything else. It's one of Sakamoto's quintessential compositions, in my opinion. Combine that with Okada's cute and quivering vocals and you have an idol masterpiece. I've never seen her perform this which I doubt even happened considering the brief time between “Venus Tanjo” and her death, but I think it'd be a lovely sight. She had a lot of nice songs in her brief but legendary career, including the acclaimed “Kuchibiru Network” (also created by Sakamoto), and she also passed the test of keeping up the good work beyond the singles. That's why I decided to highlight “Wonder Trip Lover” aside from the fact that it happens to be a fine techno-kayo song. The other two names involved with it were EPO behind the lyrics and the late Tetsuro Kashibuchi (かしぶち哲郎) from Moonriders behind the arrangement. That galloping drumming in the refrain and the sax are unique to Okada's version and make it the special one for me. I just like the spunky Kyon Kyon in general, so it really made my day when I found out that she teamed up with folks like Hosono and Masami Tsuchiya (土屋昌巳) who composed and arranged this tune. It was a leading track on her eleventh studio album "Phantasien" from July 1987. Being released later in the decade, it doesn't really resemble that early techno-kayo style, but it still has enough happy synthesisizer in it be their relative. Being a sucker for anything fantastical, I obviously enjoyed “Tsuretette Phantasien” for the whole “girl lost in a fantasyland” theme. And that German bit in the bridge specifically transplanted me to the fairytales of Brothers Grimm. I particularly enjoyed the toy military drum rhythm combined with that adventurous melody in the refrain. And the way it wraps up at the end is magical. The promotional video (which got taken down by powers that be) of Kyon Kyon wandering in the forest and encountering various creatures is very fitting. That's it, folks. If you're interested in sampling more techno-kayo, you can check out P-Vine's impressive compilations where they selected a bunch of songs on various labels from Polydor and Teichiku to Victor and Kind Records. More about those here. Unfortunately, For Life Records and Sony didn't participate in the project, so names like Chiemi Manabe aren't represented there. Those are still extensive compilations though that include both aidoru tunes and more experimental fare. My playlist here has many of the artists featured there, though I didn't necessarily go for just the signature tunes. Hopefully you found something of interest. Thanks a lot for sharing this here. To be honest with you, I totally forgot that I have an old file with this video. That's where I took the "getting tired" information, for sure. When I get home I'll surely watch it carefully. I spend a lot of time watching Moritaka concerts, but rarely sit to watch her music videos. I noticed you're Brazilian, right? If so, we have this in common. Nice grouping of techno-kayo here. I had always been curious about the sub-genre; it's interesting how all those computers and keyboards managed to overlay themselves onto aidoru, pop and urban contemporary. Mari Iijima's "Love Sick" is short and sweet. Now I really need to get either "Rose" or her BEST disc. As for "Wonder Trip Lover" by Yukiko Okada, it's a very interesting tune in that the singer doesn't quite sound like herself here; although I still prefer the Miki Nakatani cover under "Chronic Love", the drums are still indeed compelling. My favorite of the bunch is probably Chiemi Manabe’s “Nerawareta Shoujo”. The synths are just incredible and if it didn’t have Chiemi’s vocals, I would guess it had a dark/robot thematic involved. I’ll surely listen to her album after hearing this great song. Mari Iijima’s debut album is an old favorite of mine. Like J-Canuck, I also need to buy my own copy someday. One song that I really like from this release is the ballad “Shine Love”. Also, the cover is incredibly beautiful too. About Kilala & Ulala, I also love their album. Your post was a great reminder that I need to listen to it more often. It’s been some months since my last experience with it. As for Chiemi Hori, it was nice to hear “Wa Shoi!”. To be honest, the only song by her that I know is the Komuro penned “Ai wo Ima Shinjite Itai”, so it was great to discover another lovely tune from her. I like her vocals a lot. They are gentle and soft. To add something on Morning Musume.’s noises, it was one thing that turn me off to some of their songs. I love “Koi no Dance Site”, but hate the random shouts near the end of the song, for example. Just like the case of Chiemi Hori, it was great to discover another Kyon Kyon song. She was undeniably cute. I have the Phantasien album somewhere in my HD, but never gave it a try. I probably spent too much time with her subsequent album, “BEAT POP”, and didn’t advance through her discography. My favorite jpop 80s Is chiemi manabe..